"Do you know why we are supposed to be buried 6 feet down before we go to Hashem? Because "Deep Down" we are all good Jews"
I recently heard that the Rebbe described this generation as a burning building, that we should not pause to think or look for someone stronger than ourselves but save as many people as we can... 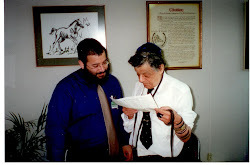 Rabbi Levi was one who never hesitated to run into the fire and saved countless people including myself. Today thanks to Levi i live i life i could not have imagined before i met him those years ago on a sidewalk in Tyson's Corner. Anytime I find myself contemplating the dynamics of a situation and failing to act, it is Levi's advice that pushes me forward to run into that burning building.